Kicking off our monthly staff favourite series is our resident ‘unicorn’ wine enthusiast, Michael. 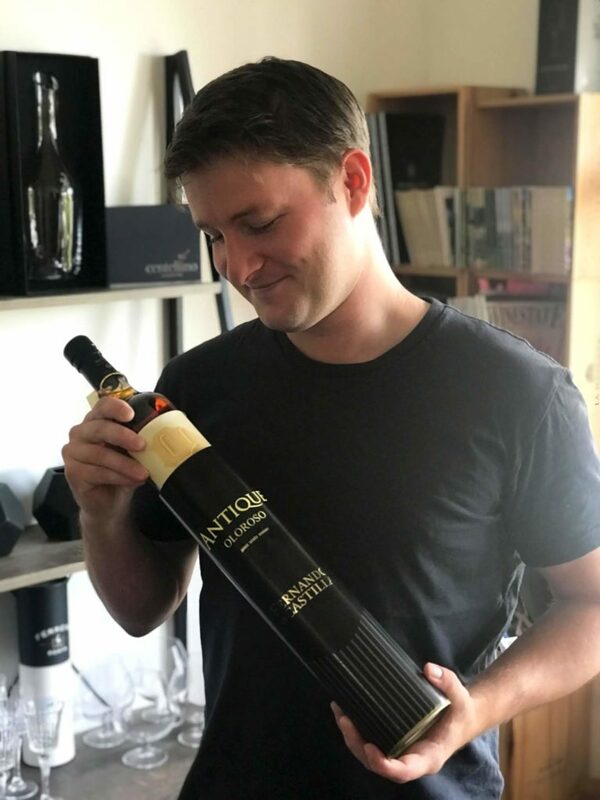 Michael has been with us for four years and is our secret weapon when it comes to bringing new and interesting wines into retail environments, and assisting restaurants to choose wines that will compliment their menu. With a passion for cooking and searching out exciting recipes and cuisines to try, he can often be found enjoying well-aged wine on the side of some crafty, tasty creation. “In my opinion the Fernando de Castilla Antique Oloroso is by far one of the most complex and delicious wines in our portfolio. I love taking the time to enjoy a glass with a small bowl of Marcona almonds while looking out at the ocean. Enjoy a serene moment on a hot day, just like the locals in Jerez.